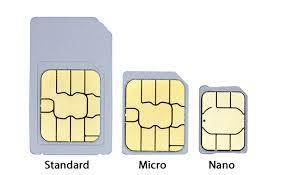 If a device connects to the Internet using a cellular network then a SIM card (or chip SIM or software SIM) from a cellular network provider is needed to go into the device in order to allow the network to identify the subscriber. The cellular network provider will typically bill monthly for this service. We provide data only IoT / M2M SIM cards and flexible plans. You can choose from various plan options in terms on minimum contract length and amount of data included - all for a fixed monthly cost. Support from people that know what IoT / M2M / telemetry is. Try talking to support at one of the big SIM suppliers and asking about something that isn't related to a phone. And if we've developed your application then we already know it inside out so network/SIM issues are easily investigated! Monthly data allowance can be aggregated across your estate of SIMs so if some devices use a lot of data for some reason then there will not be additional costs. Each SIM adds a fixed amount to the total SIM estate data bundle. This is very useful if for example you want to temporarily run some devices in a diagnostic mode than generates a lot of data. You can use them anywhere, world wide roaming without traditional roaming (rip off) prices. Our SIMs are ready to go, you don't need to know where they might end up before you get them. SIM control/monitoring (activation, barring, usage monitoring, billing history) can be integrated into the 360 Telemetry web platform. So you have one place to view your data as well as your SIM information. Device, modem and SIM serial numbers are all correlated on the web platform -- no more guessing where that SIM is. That's fine, all our other stuff works with any SIM cards. We can even integrate SIM control for other supplier's SIMs into our web platform for you if you like.